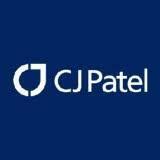 The CJ Patel Group is a diverse group of organisations across a variety of industries, all with the common goal of delivering world-class products and services. With our head office in Fiji, CJ Patel controls the operations of over 20 different companies across 10 countries, using a variety of business ownership models from joint venture, to wholly owned subsidiaries. We are an adaptable group, capable of changing our models to best suit the needs of the business sector and the environment in which we are operating. If you feel we can add value to your organisation with any of our service offerings, please contact us. We would welcome the opportunity to discuss how we can mutually grow each other’s interests.